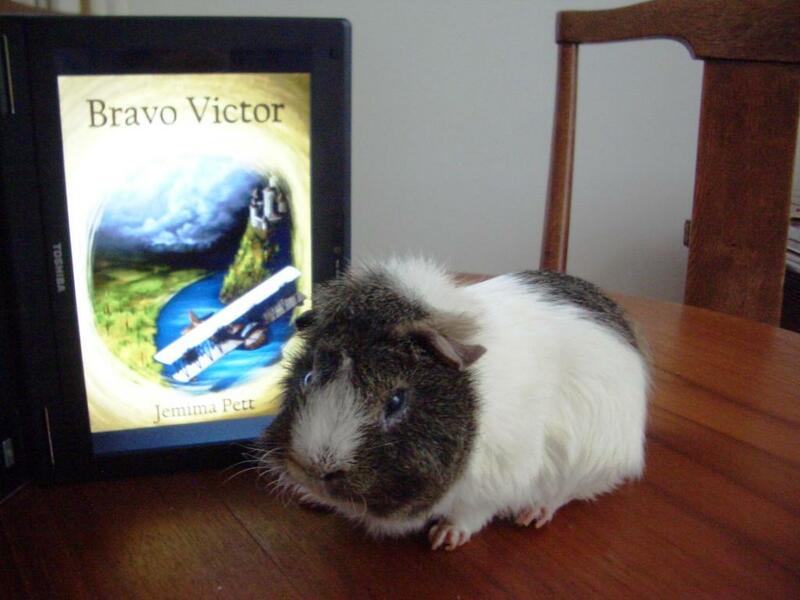 The sixth story in the Princelings of the East series, Bravo Victor is narrated by Victor, formerly the barkeeper at the Inn of the Seventh Happiness, now a freelance business consultant, with his degree behind him. People just keep presenting him with puzzles to solve…. This used to be the fifth story but I got stuck with it, and The Talent Seekers came along and changed things a lot. Piggies involved in this book include: Victor, George, Fred, Lupin, Baden, Argon, Gandy, Pippin, Archi, Py, Blackbird, Charlie White, Colman, Mr Smallweed, Eleanor, Sundance, Amelia, Kira, Hugo, Mariusz. You can find it on Amazon for Kindle. You can also get it at Smashwords (all formats), at B&N for Nook, and on the iBookstore for your iPad. (c) Pett Projects 2010-15, all rights reserved. With thanks to members of GPRWA for the inspiration provided by their piggies and other animals, including those who have already gone to the Rainbow Bridge.